HomeSmall minor newscast changes… #136. Small minor newscast changes… #136. FIRST ON THE BLOG: And now on to other small changes from across the country. KFDA 10 in Amarillo has cut a half-hour of its weekday morning newscast, NewsChannel 10 – The Early Show. Its aired for its second digital subchannel, the Independent NewsChannel 10 Too (KFDA 10.2) and the 7:00 a.m. hour got cut in half. It now airs as a half-hour newscast from 7:00-7:30 a.m. and the program in its entirety now airs from 5:00-7:30 a.m. with the 6:00 a.m. hour simulcast on both KFDA 10.1 and 10.2. However, despite the reduction, its still home to the ONLY local morning news after 7:00 a.m. in the Amarillo market. KFDA 10 also cut the half-hour weeknight 9:00 p.m. newscast on the same digital subchannel. Its now the ONLY station in the market to not air a primetime weeknight newscast. The primetime options in the market now are the hour-long 9:00 p.m. nightly newscast on KCIT 14 (FOX; FOX 14 News at 9:00) and the half-hour 9:00 p.m. weeknight newscast on KVII 7.2 (CW; ABC 7 News at 9:00 on CW 11 Amarillo). Up next is Central Texoma, in Wichita Falls – Lawton, where KAUZ 6 no longer airs a primetime newscast. KAUZ 6 has decided to cut NewsChannel 6 at 9:00 on Texoma CW 6.2 where it ran weeknights for a half-hour. The channel is now back to airing a straight up 24/7 feed of The CW Plus and this now leaves KJTL 18 (FOX)’s half-hour weeknight-ONLY 9:00 p.m. newscast (produced by KFDX 3 – NBC as Texoma’s FOX News at 9:00) as the ONLY primetime newscast in the market. 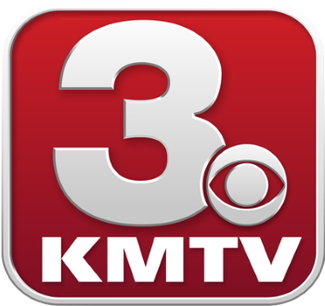 Finally, we go to Omaha where KMTV 3 has decided to move its Saturday half-hour newscast at 5:00 p.m. to an hour later at 6:00 p.m. and expand it to an hour-long newscast. It now competes against KETV 7 (ABC) for local news in that timeslot in the market even though KETV 7’s is just a half-hour leaving KMTV 3 as the ONLY option for local news on Saturdays at 6:30 p.m.
There’s been plenty of changes lately and we’ve jotted down the most that we could here and on the last post. Other than that, there are no other major additions or expansions to report on at this time. ← Small minor newscast changes… #135.